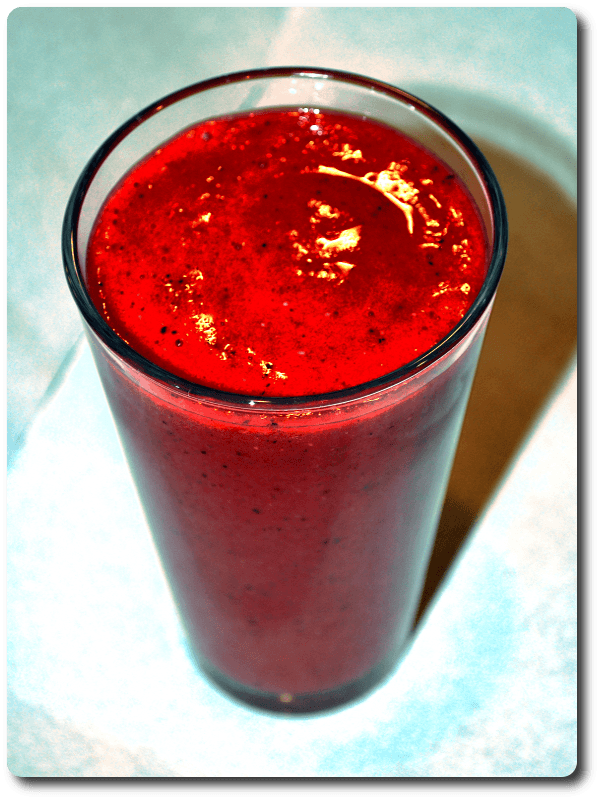 A sweet smoothie made of fresh and frozen berries and sweet oranges. Dairy free! Wash and hull the strawberries. Wash and peel the oranges. Add to the blender. Add the frozen berries. Blend to your desired consistency. We like to use mixed frozen berries (strawberries, raspberries, and blueberries). Experiment! Strawberries alone give a really nice flavor which contrasts with the orange juice.